Is the villainous plot sounding the death knell for the horse racing industry? 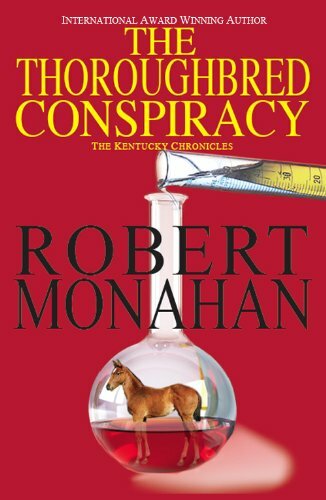 Can the efforts and passions of Tucker Flannery, manager of Fairhaven Farm, and Doctor Gwendolyn Gardot, a research microbiologist with the Kentucky Equine Research Center, interpret the ravenous disturbance in time to restore the noble breed to its kingly reign? A globe-trotting story of brotherly hatred, revenge, murder, passion, and the overwhelming love of horses.